Latin transliteration of street names will be soon taken away from street signs. Representatives of the Moscow government explained that this signs do not help foreigners navigate in the capital, but even confuse them. Guests from different countries do not understand the ‘Russian’ Latin translation and cannot read the name of a street correctly. 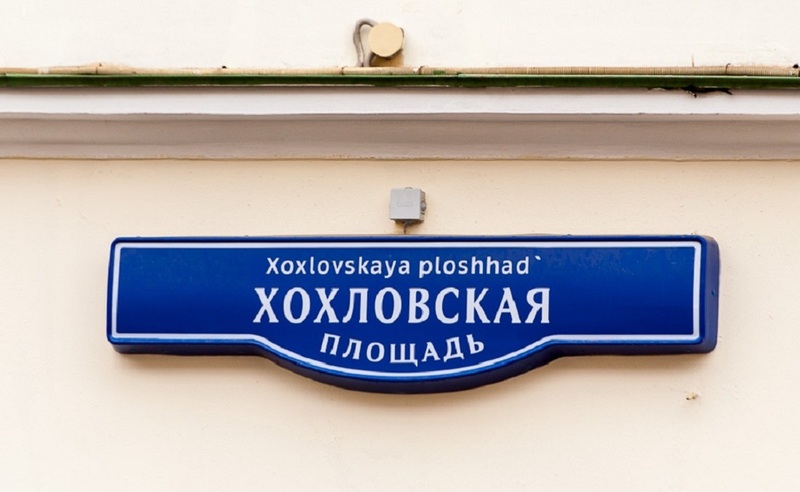 Indexes with Latin transliteration of street’s names appeared at Moscow houses in fall of 2014. Since Cyrillic inscriptions are difficultly readable for foreigners, new signs should have helped them orient in the city. However, the writing rules were taken from transliteration system, but not a transcription — so, for example, the Russian letter ‘X‘ (it sounds like ‘kh’) corresponded to Latin ‘X’ on new signs. Therefore, Khokhlovskaya (Хохловская) Square turned into Xoxlovskaya one.